Is that Joan of Arc or Zendaya? 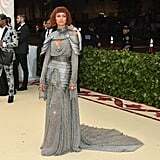 It's Zendaya paying homage to the fearless crusader at the Met Gala. 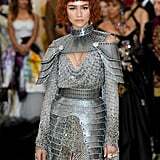 The 21-year-old actress and singer, who was dressed by longtime stylist Law Roach, arrived in a spectacular silver Versace dress that looked like a knight's armor with the metal shoulder pads and chain details. She paired it with matching Jimmy Choo heels and Tiffany & Co. jewelry. 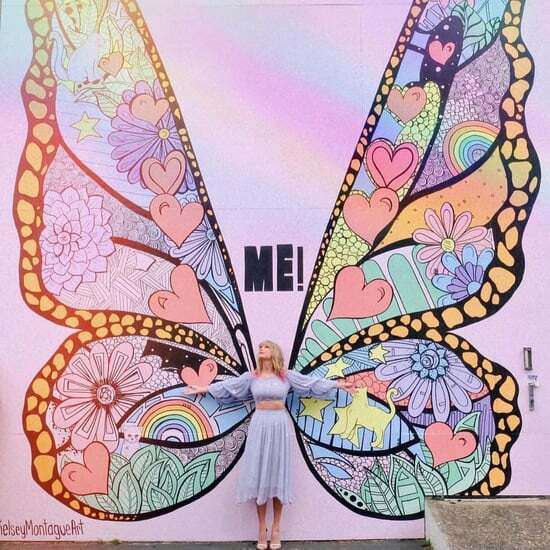 When she turned around, you could see the back peephole and her gorgeous chain-link train, which looked heavy to haul up those steps. This dress is astoundingly similar to the paintings that exist of Joan of Arc. Zendaya even channeled the saint with her red hair and simple makeup look. Keep scrolling to take in all of Zendaya's angles and be in awe of her overall look.